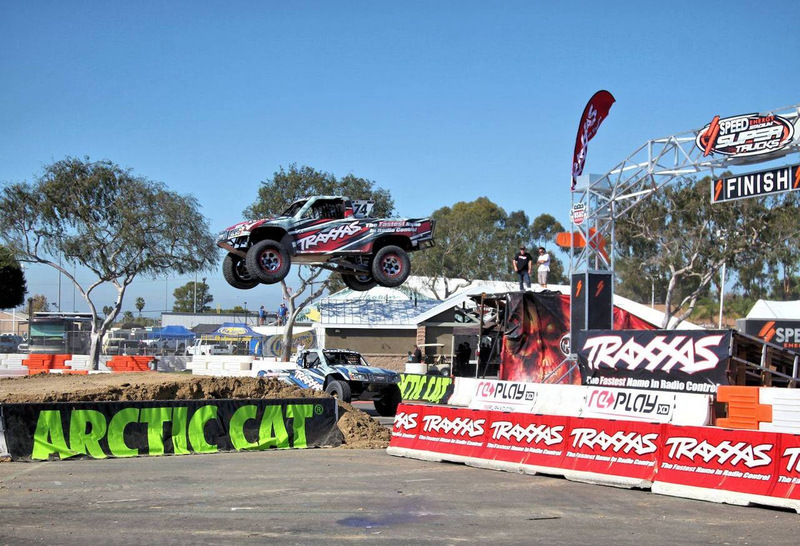 Costa Mesa, California (September 19, 2015) – On a night when 10 Stadium Super Truck (SST) drivers returned to the series’ roots in Southern California, it was the massive cross over jumps and high speeds the race track produced that stole the show at the OC Fair and Event Center Friday night. Scottsdale, Ariz., driver P.J. 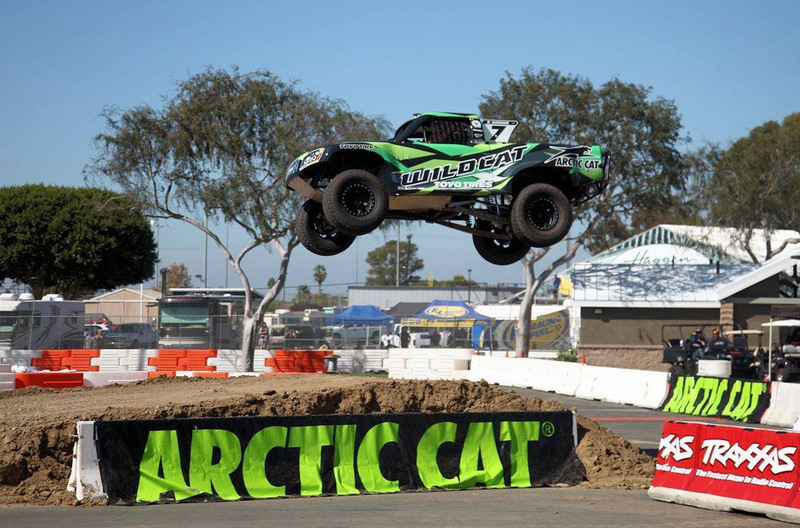 Jones took advantage of the rough driving and tight racing the twisting track produced and captured victory in the first of three races to be held at the Sand Sports Super Show. 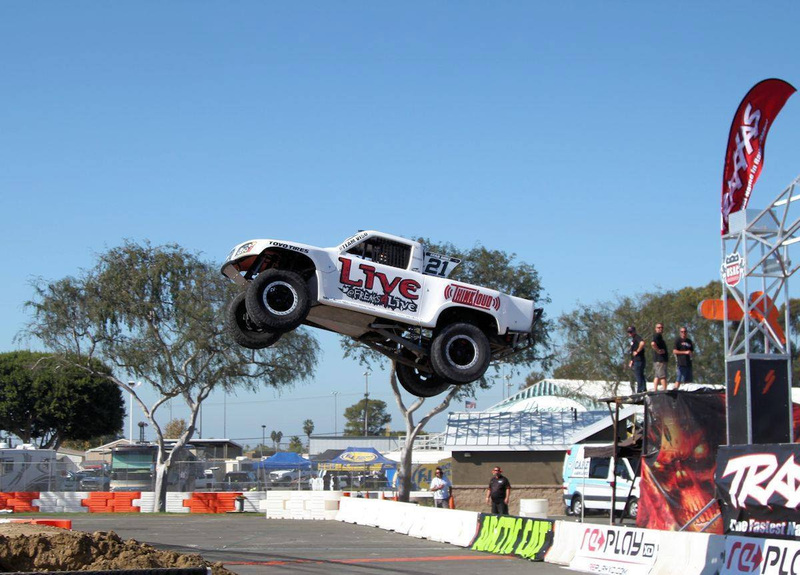 The second race of the triple-header weekend for the SPEED Energy Stadium SUPER Trucks Presented by TRAXXAS series is tonight at the OC Fair and Event Center. Gates open at 5 p.m. with racing starting at 6 p.m. Tickets are available at the gate for $25 for adults and children 12 and under and military tickets $15. Race No. 3 of the weekend will be held on Sunday afternoon at the OC Fair and Event Center with gates opening at 10:30 am and racing beginning at 11:30. 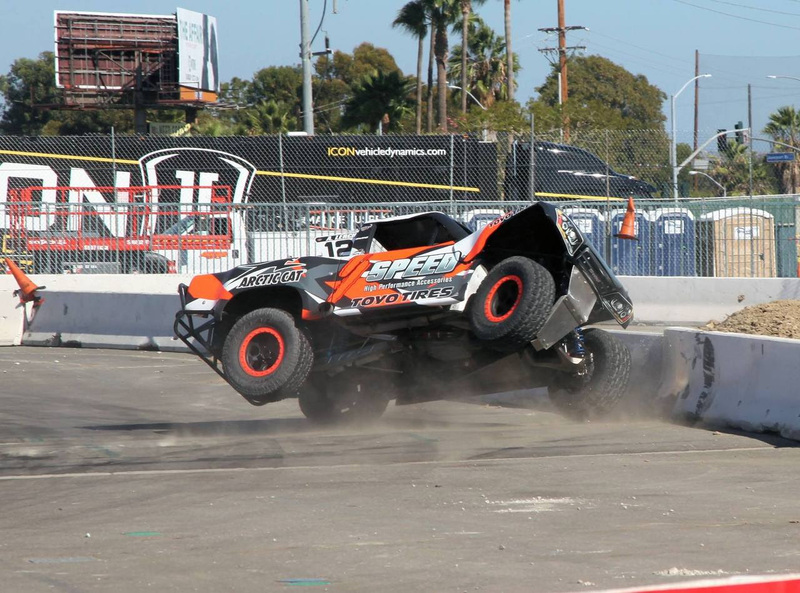 After a series of single truck qualifying and heat races, Friday’s race– which featured the entire field on DOT approved Toyo A/T tires – SST new comer New Zealand’s Mad Mike Whiddett sprinted out to the early lead for much of the first half of the race before Orange, California’s Robby Gordon muscled past. Gordon, got bottled up in lap traffic in the CBS Sports Network cork screw allowing TRAXXAS-driver PJ Jones to overtake the lead after taking the joker lane. 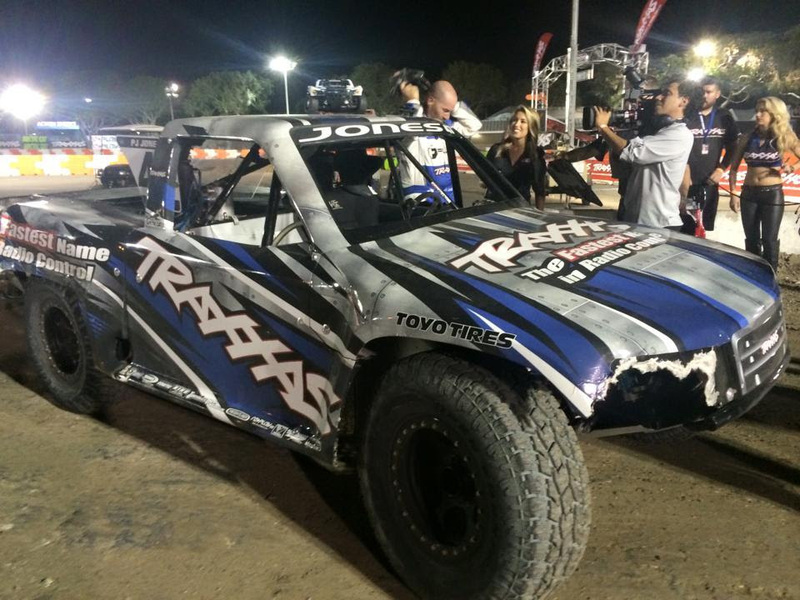 The race was red flagged and cut short at Lap-9 after TRAXXAS-driver Sheldon Creed battling with Gordon got pushed into the wall damaging the front stretch catch fence. Jones was deemed the victor followed by Gordon, and first time competitor and open wheel standout Augie Lerch. Pennsylvania’s Bill Hynes was fifth followed by teammate Scotty Steele in the Live / UFD TRAXXAS truck. Charles Dorrance from Texas in the Sportsman’s Guide truck, X Games Gold Medal winner Sheldon Creed in his TRAXXAS entry, Burt Jenner in Gladiator truck, and the field was rounded out by Aaron Kauffman in his first start in the Toyo Tires SST. Round 13 Results: Costa Mesa, Calif.